Biography of Rabbi Yosef Zundel Salant and his relationship to the Rabbi Meir Baal Haneis charity in Israel. Rabbi Yosef Zundel of Salant (1785-1866), better known as Rabbi Zundel Salant, was born on the first day of Rosh Hashana in 1785 in the city of Salantai, Lithuania near Zamut. (According to several Lithuanian documents recently discovered, it seems that Rabbi Yosef Zundel of Salant was most probably born in 1781, not 1785). His father was Rabbi Benyamin Beinush, who was a shochet and chazzan in Salant. His mother's name was Pessa. Rabbi Benyamin Beinush was a descendent of Rabbi Uri Feivush Ashkenazy, the chief Rabbi of Vilna, who was a student of Rabbi Meir, chief Rabbi of Lublin (the Maharam Lublin) (1558-1616). In 1649 as a result of the upheaval caused by the Bogdan Chmelnicki uprising, Rabbi Uri Feivush left Europe to settle in Jerusalem and became the leader of the small Jewish community of Jerusalem between the years 1650-1653. In Jerusalem Rabbi Uri married the daughter of the great Rabbi Isaiah Horowitz (1565-1630) author of the â€œShnei Luchos Habrisâ€� who had emigrated to Israel in 1621 after serving as the chief Rabbi of Frankfurt and Prague. Rabbi Zundel Salant, married his wife Rochel Rivkah, and they had three children, two daughters Tziviah and Heniah, and an only son Aryeh Leib. Rabbi Zundel was a great Talmudical scholar and was offered many prominent rabbinical positions. He refused to accept any of these, preferring instead to run a small import-export business to and from Prussia and Lithuania, which produced only a meager living. He spent most of his time immersed in Torah studies and Mussar (introspection). His dealings with his fellow man were legendary. He would dress as a simpleton on his travels and never reveal who he was. Stories are told about the many dangers he encountered on these trips and how he was miraculously saved. His descendents celebrate the first day of the month of Kislev to commemorate his rescue from a group of marauding bandits. It happened during the Polish uprising of 1831 against the Russian rule of Lithuania, Rabbi Salant was once returning from a business trip to Prussia he was accosted by Polish rebels who accused him of spying for the Russians. They hastily set up a gallows and put a noose around his neck, while Rabbi Salant quietly recited vidui. Suddenly they heard the war cries of a Russian army unit. They quickly dispersed, leaving Rabbi Zundel giving praise to the Lord for his salvation. As a young man, Rabbi Yosef Zundel studied under the Vilna Gaon's prime students, in particular Rabbi Chaim of Volozhin. When Rabbi Chaim Volozhiner established the famed Volozhin Yeshiva, Rabbi Zundel was from its very first students. Rabbi Chaim Volozhiner held Rabbi Zundel in the highest esteem and taught him everything that he himself had learned from the Vilna Gaon. Rabbi Zundel was considered the greatest student of Rabbi Chaim Volozhiner and a living encyclopedia of the Vilna Gaon's teachings. Following Rabbi Chaim Volozhiner's passing in 1821, Rabbi Zundel would make frequent trips to study with Rabbi Akiva Eiger. Rabbi Zundel would seclude himself in his room or in the desolate woods to study and contemplate. It was he who provided the spiritual inspiration for his most famous student, Rabbi Yisrael Lipkin Salanter, the founder of the Mussar Movement. Rabbi Yisroel Salanter would refer to Rabbi Zundel as "the light of the whole world". â€œRabbi Zundel opened the gates of Torah and Truth for meâ€� he would claim. The entire â€œMussar Revolutionâ€� established by Rabbi Yisroel Salanter was based on the teachings and ideologies of his great mentor. Rabbi Yosef Zundel, based on the teachings of the Vilna Gaon, longed to settle in Eretz Yisroel to follow in the footsteps of his ancestor Rabbi Uri Feivush and to join the community of Ashkenazy settlers begun by the students of the Vilna Gaon Rabbi Menachem Mendel and Rabbi Yisroel of Shklov. The Ashkenazy community in Jerusalem at that time, known as Kollel Vilna or Kollel "Prushim", was under the leadership and financial support of the heads of Kollel Vilna with headquarters in Amsterdam. 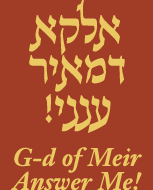 The title "kollel" was used in place of the word "community". An organization known as Pekidim and Amarkalim of Eretz Yisrael (Officials of the Land of Israel) was founded in Amsterdam in 1809. This charitable organization was in charge of the collection, administration, and disbursement of all the monies collected in Western Europe on behalf of the Ashkenazy community in Eretz Yisroel. Kollel Vilna was led by a committee of influential people known as the "noblemen of Vilna"and headed by a wealthy Dutch Jewish banker by the name of Rabbi Avraham Zvi Hirsch Lehren (1784-1853). In 1817 Rabbi Lehren assumed the mantle of leadership of Pekidim and Amarkalim of Eretz Yisrael. Rabbi Zundel's knowledge was extraordinary and the entire scope of Torah was clearly engraved on his heart and mind. He was also a Tzaddik extraordinaire. Although Rabbi Zundel was an extremely unpretentious individual, Rabbi Lehren was keenly aware of his greatness and respected him tremendously. Before Rabbi Zundel's departure to Jerusalem, Rabbi Lehren firmly requested that Rabbi Zundel serve as the official Rabbi of the Ashkenazy community. Rabbi Lehren had been planning for a long time to create an autonomous Ashkenazic communitywhich would not be dependent on the Sephardic community. For past centuries now, all halachic disputes and queries in Jerusalem were brought to the Sephardic rabbinical court and were adjudicated by them. However, due to the recent growth of the Ashkenazy community Rabbi Lehren thought it was time for the Ashkenazim to enjoy independence and to have the ability to adjudicate disputes in their own rabbinical court. He considered Rabbi Zundel the ideal person to stand at the helm of this new autonomous community. He also wanted Rabbi Zundel to work quietly in bringing together all the factions within the Ashkenazy community itself who were often at odds and quarreled with each other to the detriment of the community. Rabbi Zundel agreed on the condition that he would not be paid a salary for his services. Throughout his life he had worked to support himself in a manner that did not cause him to benefit from Torah and he wanted to maintain that practice. Furthermore, he had always shunned all positions of honor and distinction. He stipulated that as soon as a suitable replacement would be found, he would relinquish his position. Finally, in 1838, despite the hardships of such a trip due to the ongoing war between Turkey and Egypt, Rabbi Zundel and his family traveled to Jerusalem. His daughter Tobah (1816-1869) and her husband Rabbi Shmuel Salant declined to make the trip at that time. Rabbi Zundel prophetically told them â€œWe will meet together in Jerusalem soonâ€�. Rabbi Zundel travelled with a dear friend and fellow student of the Volozhin Yeshiva, Rabbi Meir Shalom Gurion who was the chief rabbi of the city Karelitz, who unfortunately passed away a year later from an epidemic in Jerusalem. Rabbi Zundels prophetic words came true when three years later, Rabbi Shmuel Salant developed a lung disease and doctors advised him to seek out a warm climate. Rabbi Shmuel decided it was time to join his father in law in Jerusalem. Upon his arrival to Jerusalem, Rabbi Zundel was appointed the factual leader of the Ashkenazy community and immediately established an Ashkenazy Beis Din. All Ashkenazic questions and issues were no longer brought to the Sephardic Beis Din. In time though, even the Sephardim of Jerusalem recognized Rabbi Zundelâ€™s greatness, and they too presented their quarrels and inquiries to the new Ashkenazic Beis Din. In 1841 when his son in law Rabbi Shmuel Salant arrived to Eretz Yisroel, Rabbi Zundel asked him to join him in running the Beis Din. Very soon after, Rabbi Zundel realized the vast greatness of Rabbi Shmuel Salant, appointed him as the official head of the rabbinical court, a position which Rabbi Shmuel held for almost seventy years until his passing in 1909. Rabbi Zundel had a daughter Heniah (1818-1865) who was married to Rabbi Uri Shabtai Nissenbaum. Rabbi Nissenbaum was born in 1801 in the city of Ashmina to his father Rabbi Chaim who was a dayan. He settled in Jerusalem in 1832 with a wife and four children. His wife passed away very young and he later married Rabbi Zundel's daughter Heniah. He was a great scholar and joined the Beis Din of his father-in-law. They had a son in 1852 whom they named Chaim. Chaim married Channah Basha of the Mandelman family. Chaim was the overseer of the community's kosher meat market. Heniah passed away in the plague of 1866, one day after her illustrious father. Rabbi Zundel's third daughter, Tziviah (1824-1861) was married to Rabbi Nuta Nutkin, a grandson of the author of "Shagas Arye". Tziviah died in childbirth at the young age of 37. Rabbi Zundel had one son Yehuda Arye Leib who was born in 1830. He was one of the first settlers in the new development Nachlas Shiva, located outside the Old City. He was one of the founders also of an organization called "Petach Tikvah" which sought to establish a settlement in Yericho. Yehuda Arye Leib married Channah Glicka. Rabbi Zundel lived out his life in a small one room apartment in the Churvah complex located in the Jewish Quarter of the Old City. Rabbi Zundel sustained himself and his family by selling vinegar, but spent most of the day and night studying and praying in the Menachem Zion Synagogue, which was completed in 1837. Built by the Perushim (students of the Vilna Gaon), it was named after their leader Rabbi Menachem Mendel of Shklov. In 1847 Rabbi Zundel established a group called "Ohr Torah" who learned in shifts around the clock at the Menachem Zion Synagogue. Rabbi Zundel continued to stand at the helm of Jerusalem Jewry and radiated spirituality to the entire community while living an esoteric lifestyle. Rabbi Zundel and Rabbi Shmuel worked together tirelessly for the benefit of the community. They were active and instrumental in the founding of the famed Etz Chaim Yeshiva, the Bikur Cholim Hospital, and the Chevrah Kadisha Society. They were also at the helm of assisting the influx of new settlers to Jerusalem. In 1860 they founded the Rabbi Meir Baal Haneis charity which became the foundation of support for the entire community at large, and saved it from sinking into financial abyss. Unfortunately, Rabbi Zundel lived for only a few short years afterward its establishment. During the final years of his life he devoted himself wholly to bringing this monumental undertaking to fruition. Upon his passing, the Rabbi Meir Baal Haneis had already become a lifeline for hundreds of poor and destitute families. On the 28th of Elul 1864, Jerusalem celebrated the inauguration of the Churvah synagogue built in the Churvah courtyard. This was a most phenomenal achievement and a dream come true. How poignant it was that the day coincided with Rabbi Zundel's eightieth birthday. During the 1860's, the water supply to Jerusalem was very poor, despite several attempts by the Ottoman administration to repair the ancient conduit from A'yn Arrub and Solomon's Pools. The stone pipes were regularly sabotaged by the Arab farmers who earned a living selling water which they brought in filthy animal-skin bags from A'yn Roggel, and from the Gichon Spring. The Arabs sold the evil tasting and foul smelling water at a high price. The water supply depended mainly on the collected rainwater of cisterns dug near or even under the houses. In the 1860's there were almost a thousand of these. This water was only fit for drinking as long as it was not contaminated by sewage. However there there was no sewage system in Jerusalem at the time, and sewage often ran in the street, seeping into the wells. The pollution of the drinking water in Jerusalem, which was consumed without first boiling it, brought about a severe plague, which claimed hundreds of victims, and led to the city being placed under quarantine for four months. Eventually, Sir Moses Montefiore came to help the inhabitants by contributing money for improving the water supply. On Friday October 12, 1866 Rabbi Yosef Zundel Salant passed away from the plague that felled hundreds. He was buried on the Mount of Olives next to the great Rabbi of Kutna Moshe Leib, author of 'Zayit Raanan'. A space was left next to him which would be filled fifty years later with the death of Rabbi Shmuel Salant. Among the many instructions that Rabbi Zundel mentioned in his will was that that no eulogies be held for him, and no titles should be added to his name on his tombstone. Nevertheless, Rabbi Shmuel Salant ruled that the title of "Rabbi" must be added to the tombstone. It was said that Rabbi Zundel was the last humble person in the world. The famous Rabbi Yisroel Salanter, the founder of the ethical Mussar Movement and prime student of Rabbi Zundel, is recorded as saying "I have not found a true servant of G-D like my mentor Rabbi Zundel!" After the death of Rabbi Zundel's first wife Rivkah (1762-?) he married his second wife Rochel Rivkah (1781-?). Rochel Rivkah was previously married to Yaakov Zaks who passed away without children. In his will Rabbi Zundel asked his children from his first marriage to help support their stepmother Rochel Rivkah in the event of his death. However, Rochel Rivkah preceded Rabbi Zundel in death. In 1978 a grandson of Rabbi Zundel published a book tracing the family tree of Rabbi Zundel through eight generations, from the year 1838 to 1978. May the memory of the great Gaon and Tzaddik Rabbi Yosef Zundel Salant bring merit to the entire Jewish Nation.